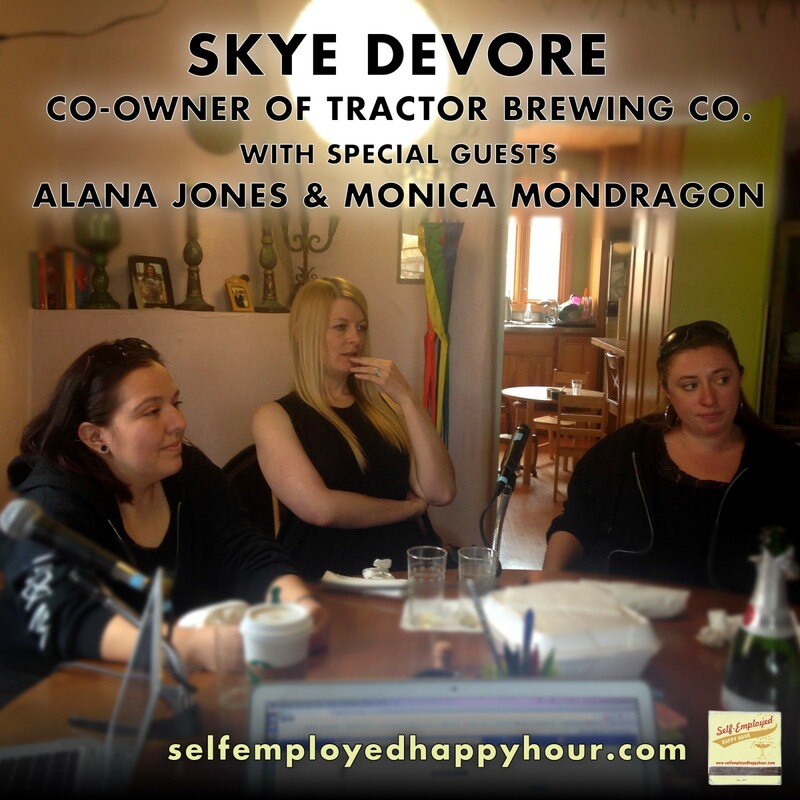 Self-Employed Happy Hour Podcast: Skye Devore, Co-Owner of Tractor Brewing Co.
L to R: Monica Mondragon, Skye Devore and Alana Jones. “When most people are growing up, they don’t say to themselves, ‘I’m going to work in a brewery some day! '” This observation from Skye Devore (who clearly didn’t watch “Laverne and Shirley” as a wee lass) was true for herself—yet by various twists and turns she is now the co-owner of Tractor Brewing Company, one of New Mexico’s most beloved craft brewing operations. Skye joins us to share how she fell into the brewing industry, how Tractor plays an active part in supporting arts and culture in Albuquerque, why craft brewing is so hot in New Mexico, and what it takes to get into brewing as a business. She is joined by special guests General Manager Alana Jones, and Laboratory/QC Manager Monica Mondragon, both of Santa Fe Brewing Company. My co-hosts include Pyragraph Contributing Editor Jeremy Kinter and Outreach Director Cara Tolino.